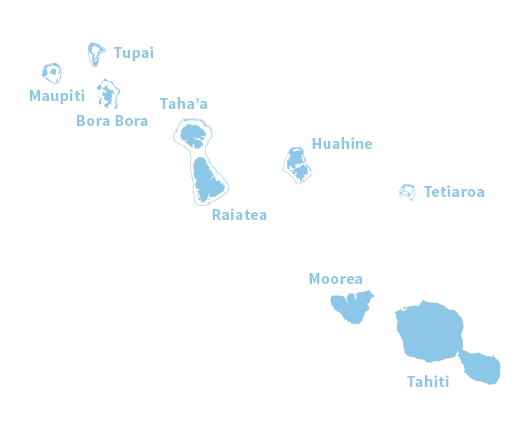 The Islands of Tahiti are known for their relaxing tropical climate. 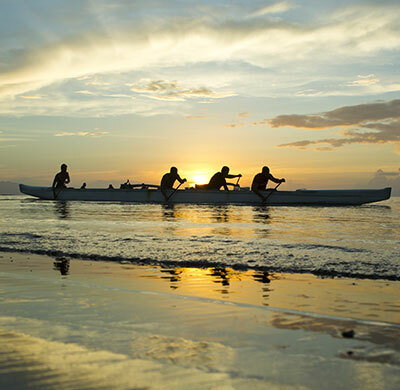 Miles of white sand and lush forests are commonplace in this paradise. Luckily, with rainforests often come waterfalls, and Tahiti has no shortage of these natural water features. Whether you’re here to trek in the footsteps of island explorers or simply relax in a quiet pool, there’s plenty to do and see in The Islands of Tahiti. 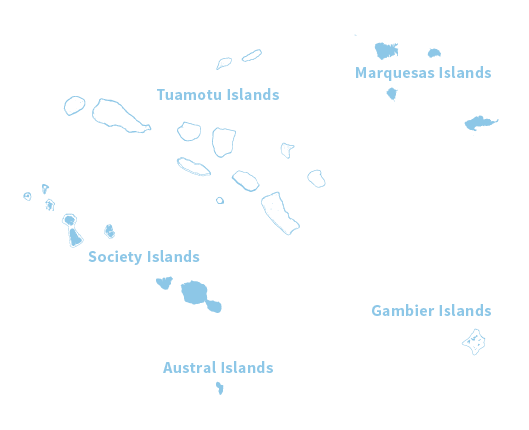 The island of Tahiti is arguably the most popular of the 118 islands in French Polynesia. Of course, it may have something to do with Tahiti’s awe-inspiring waterfalls. A full day excursion on Tahiti will take you through Papenoo Valley, including Topatari Falls, Vaiharuru Falls, and Puraha Falls. An impressive sight from a distance is Puraha Fall. Walk through shallow water towards the base of this waterfall to admire this delicate cascade surrounded by lush ferns and mosses. However, you must be a little brave to cross to the waterfall as the shallows surrounding this cascade are full of friendly eels. 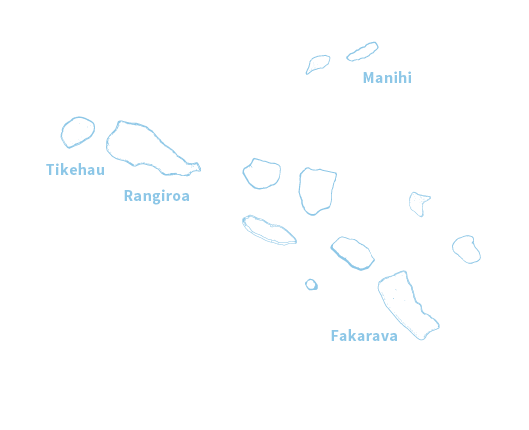 Two other impressive waterfalls include Fautaua Waterfall and Faarumai Waterfall. Impressive from the first time you see it, Fautaua (also known as Cascade de Fachoda) is 443 feet tall. To get here, you’ll need to don your hiking boots and make the half-day hike. Don’t be dissuaded by the hike, though. Many travelers opt out of this journey, so if you go, you’ll have this waterfall and accompanying pool practically all to yourself. And what’s better than a quiet morning or afternoon basking in nature’s island glory? If you’re not feeling so athletic on your vacation, you can head to the Faarumai Waterfalls instead. This short hike takes you through a grove of chestnut trees before leaving you at a waterfall that has not one, but three magnificent cascades. This singularity gave them the name of The Three Cascades. It’s also conveniently located in the village of Tiarei, so there’s plenty to do and see after your peaceful dip in the pool. 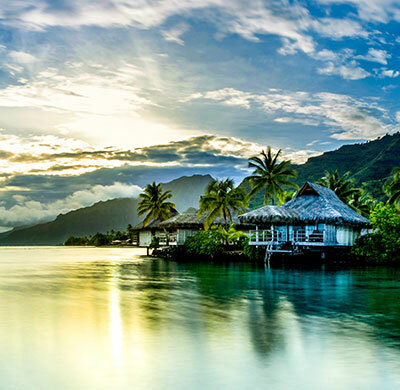 Perhaps a lesser-known – but equally breathtaking— is the island of Moorea. Located via short ferry ride from the island of Tahiti, Moorea offers breathtaking summits, azure blue lagoons, and, of course, waterfalls. Though there’s plenty more to see on the island of Moorea other than just Tahitian waterfalls, you can’t miss the Afareaitu Falls while you’re here. Located on the southeast side of the island, the Afareaitu Waterfalls are not to be missed. Named after the nearby Afareaitu Village, these aren’t the highest waterfalls in The Islands of Tahiti, but they are still just as beautiful. The water rolls delicately down the side of a cliff before settling in a calm pool that’s perfect for an afternoon dip. 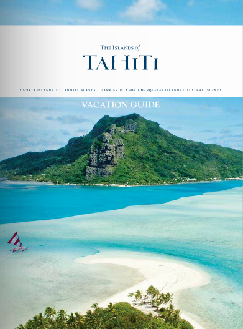 No matter which island you choose, you’ll have no trouble finding natural splendor in The Islands of Tahiti. Luckily, you don’t need to hike far to get to a waterfall that’s as relaxing as it is beautiful. As always, don’t forget to bring the essentials on your hike: mosquito repellent, sunscreen, sturdy hiking boots, plenty of water for hydration and, of course, your camera!